The Department of Trade and Industry (DTI) will assist affected workers and displaced micro, small and medium entrepreneurs to lessen the impact of the the six-month closure order of Boracay Island in Malay, Aklan. DTI Regional Operations Group Undersecretary Zenaida Maglaya said that the agency has identified initiatives to cushion the impact to workers and entrepreneurs of the island’s shutdown on April 26. 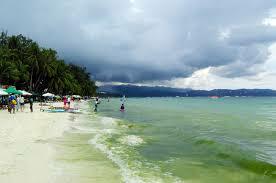 “We recognize the importance of Boracay Island to our local entrepreneurs there. However, we would also like to ensure that the island maintain its pristine condition, which is why we have identified programs that will help local entrepreneurs,” Maglaya said. DTI, a member of the Working Group on employment and livelihood and the lead agency in the establishment of the Operations Center/ One-Stop Shop in Boracay Island, has identified activities that may provide workers alternative income and other alternative markets for the MSMEs. While the island is closed to tourists, MSMEs selling to Boracay will be given the chance to continue their businesses as DTI identifies alternative market outlets in nearby resorts and Pasalubong Centers. Aside from these, the DTI will launch the Negosyo Serbisyo sa Barangay and come up with trainings, coaching and mentoring on business opportunities, online marketing seminar, and micro loans through the Pondo para sa Pagbagago at Pag-asenso (P3), among others.